There's something about holographic objects that draws me in. I think if there's something I like or want, I get fixated on having to have it (which can be a good or bad thing!) A couple of years ago I got obsessed with wanting everything to be green, like Shellac "Lush Tropics" by CND. In the last two years it's holographic things but I haven't owned anything, until now. 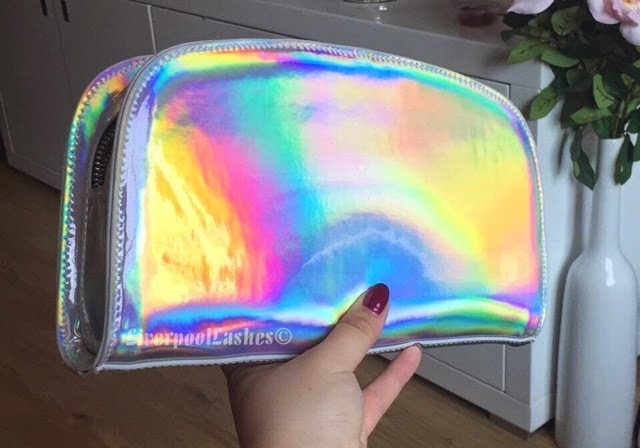 I thought I would show you my bargain clutch bag from ASOS that I will actually be using as a make up. It's a zip around bag so it's extremely secure for even the smallest objects like eyelash glue and since its reduced from £18 to £9, it's an absolute bargain. Just incase you did want another option though, I did order this bag which is still full price but at £18 it's hardly breaking the bank but it does hold a lot less in it. 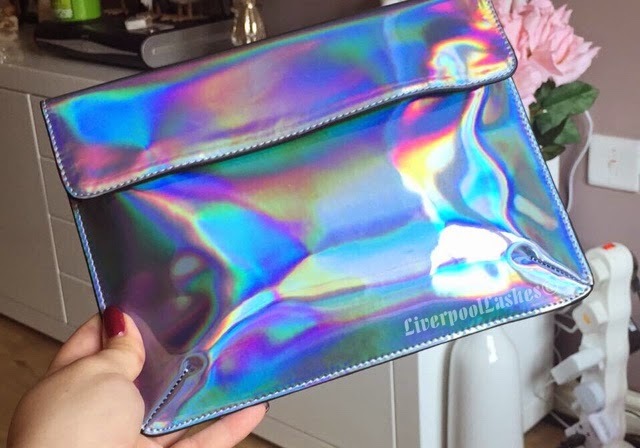 My friends have reminded me how old I am like I've outgrown holographic things but I simple don't care, I love them so I had to share my bargain new make up bag!